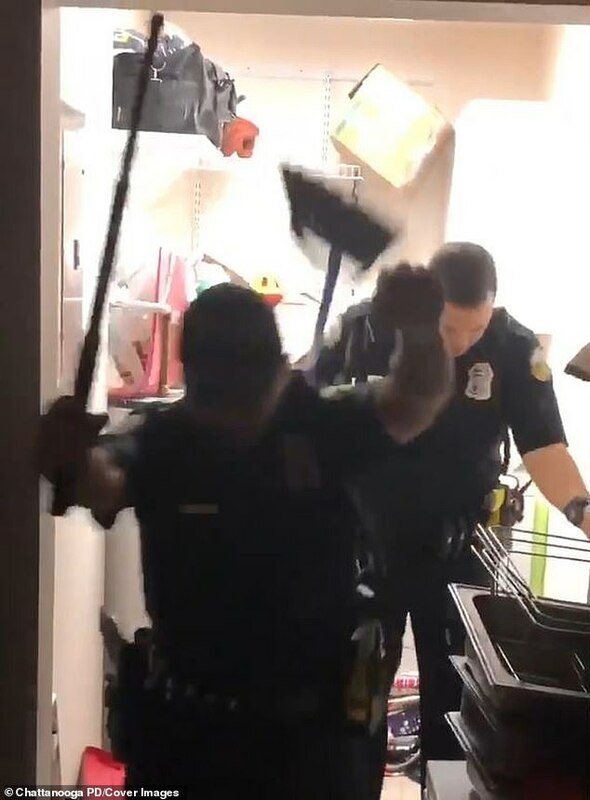 This is the hilarious moment US police had an encounter with an unlikely masked raider on Thursday. 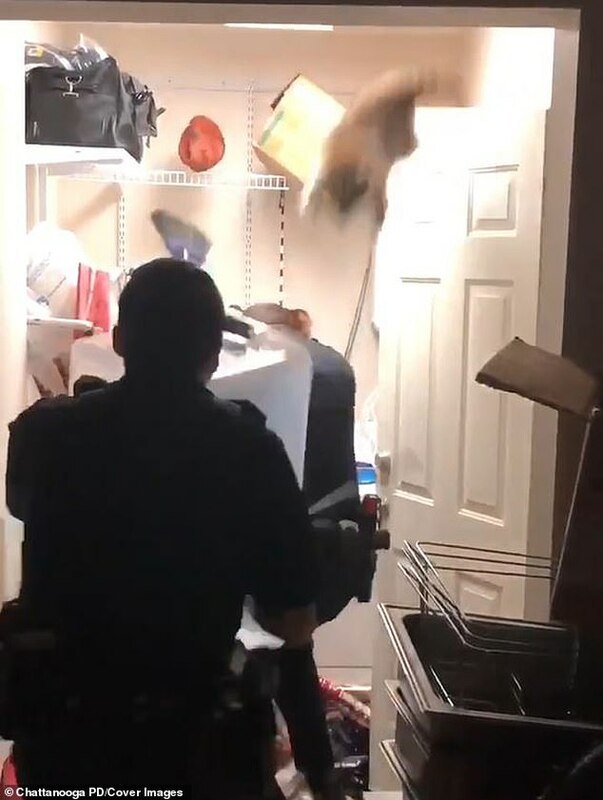 Police from Chattanooga, Tennessee were called out to a raccoon in a homeowner’s laundry room. The officers tasked with cornering, and attempting to trap, the critter found they had a tricky task on their hands. While one waved a broom at the raccoon, fellow officers waited hopefully with a plastic container in which to trap it. 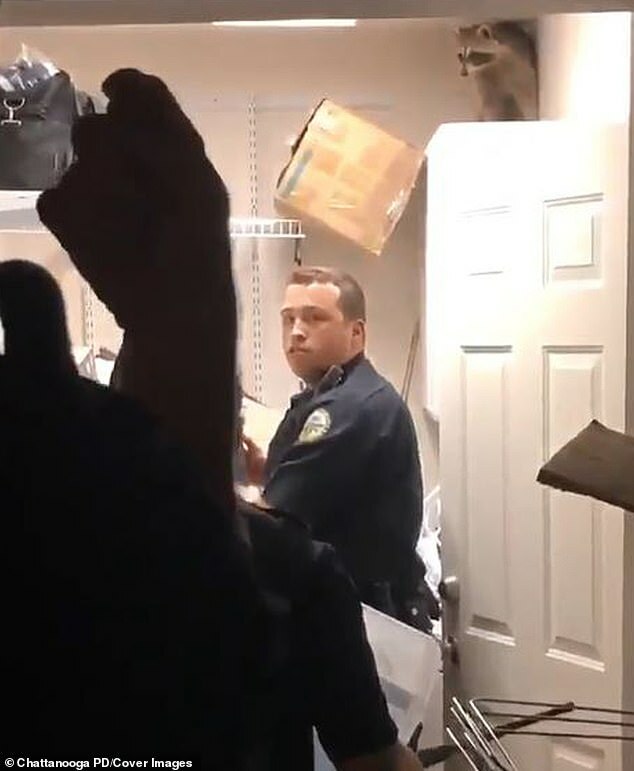 After a short stand off, the officers were left ducking for cover when the raccoon launched itself from a high spot directly over their heads and out of the property. Seeing the funny side of the situation, Chattanooga Police Department commented: ‘BOLO (Be On Lookout): Home invasion suspect who escaped police custody. ‘Suspect is 1’10’ tall, approx 12 lbs and wearing a mask. Suspect is also believed to be armed w/ sharp teeth.